Drinking cranberry juice is good for your body. Cranberry juice is a great beverage as it has lots of important antioxidants that help reduce your risk of heart disease. The antioxidants also help in building your immune system so that your body can fight UTI infections. Traditionally, cranberry juice has been used for the treatment and also for the prevention of urinary tract infections (UTI). Research has suggested that it can be used to prevent these infections. The studies have also acknowledged the fact that regular drinking of cranberry juice may have a protective effect against UTI in pregnancy. If you wish to use cranberry juice to treat UTI then you must take it 114 to 296ml or in doses of 4 to 10 oz. of pure juice, a day. Since cranberry juice is very sour the cranberry juice which is available commercially contains added sweeteners. You should therefore purchase that brand which has the lowest amount of added sugar. A very popular remedy for UTI’s is to drink cranberry juice. A lot of scientific researchers have shown that cranberries can inhibit bacteria from attaching to the lining of the urinary tract which will prevent and even treat UTIs. You must however, remember to drink cranberry juice in its natural form meaning that there should not be any added sweeteners and it should have higher concentrate of cranberries when compared with some cranberry juices and a lot of grape or other juice type. 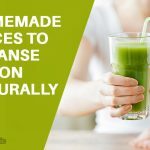 You will not be able to purchase this type of juice in a regular grocery store. You can however, purchase it from a natural foods store. To effectively treat a UTI, you should drink lots of cranberry juice (approximately a gallon per day) until symptoms clear up. After that you can drink about half as much for a minimum of 10 additional days. People suffering from Urinary Tract Infection can rely on Apple Cider Vinegar as a natural antibiotic. ACV is high on potassium, and other useful enzymes and minerals which can prevent bacteria from growing or multiplying. ACV also helps block inflammation and reduces bloating. Simply add 1 tablespoon ACV with cranberry juice and drink it. Drink twice a day for a few days. When you have a UTI, you should drink plenty of water to flush the urinary tract of the bacteria. Baking soda can help ease the UTI symptoms that include pain and burning sensation. Due to its nature it helps raise the acid-base balance of urine and gives relief from pain. Baking soda helps in the prevention of infection from spreading to bladder where they can cause damage and serious implications. Mix 1 teaspoon of baking soda into the cranberry juice. Mix it till it a completely dissolves. Now consume it. You should not take baking soda as a substitute for conventional treatment for UTI. You are advised to consult your doctor before trying it out. Mix pomegranate juice with Cranberry juice and sip it up. Two to three glasses per day will help fight infection soon. Cranberry contains hippuric acid which inhibits the growth of E. coli bacteria which is amongst the most common cause of UTI. This also keeps E. coli from complying with the bladder and adhering to the urinary tract walls, to the kidneys. You should therefore drink pure cranberry juice as it contains antioxidants that remove the bond between urethra walls weaken bacteria. If you wish to have a natural remedy, you should consume three/eight ounce servings of pure cranberry juice. If you have had problems with your kidneys then you know how painful this condition is. You will obviously want relief fast as possible. Drinking cranberry juice will only relieve some of the pain of this condition and is not a cure. You will have to consult your doctor if the condition continues for and effective treatment and a cure. 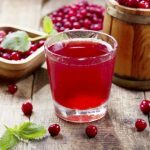 Cranberry Juice for Bladder Infections – How Effective Is it? Apple Cider Vinegar for UTI: Does It Help and How to Use It? 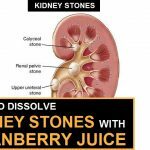 How Good is Cranberry Juice for Kidney Stones? How to Take Magnesium Citrate for Colon Cleansing? Baking Soda for Urinary Tract Infection (UTI): Does It Work?